5694 Wall Triana Hwy,suite F,Madison,Al. Search For "Restaurants & Bars" Companies in Madison, Alabama - Click Here Now! Vincent Gourmet Cookie Company Develops High Quality Cookies Some Are Completely Original. Like The Pizza Man, You Phone In You Order, We Deliver To Your Door Step. We Also Have An Internet Business,facebook Page,merchant Circle Page. 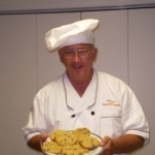 And Now A Special Edition Newsletter-teaching On Baking Cookies, Developing Your Own Style Andmarket Your Cookies. Vincent Gourmet Cookie Company in Madison is a company that specializes in Eating Places. Our records show it was established in Alabama.